Steven Beare is a Littleton, CO resident who was born and raised in Catskill, NY. He went missing when a blizzard hit while attempting to summit Mount Elbrus in Russia on June 14th. He has a 21 month old son and a wife who is 13 weeks pregnant waiting for him to come home. Steven Beare, 32 years old, of Littleton Colorado was attempting a solo assent of Mount Elbrus at 18,510 feet, in Western Russia the morning of June 14th. About 10:00 am he was spotted an hour from the summit as a massive storm fell upon the mountain. There were white out conditions and the storm dropped about 3 feet of snow over the next 2.5 days. He had a day and a half reprieve followed by another two-day storm that brought another foot of snow. He has not been seen or heard from since the 14th. Steven is an avid mountain climber. He has done 24 of Colorado’s fourteeners, Mount Kilimanjaro and Mount Orizaba. To say Steven was passionate about mountain climbing would be an understatement. His goal is to climb the 7 world summits. Steven has always lived his life in the line of duty. He is a Police Officer for the Littleton Police and spent two years with the Colorado Department of Corrections. He spent 8 years on active duty with the US ARMY as a cavalry scout completing a 15 month tour to Iraq and a 13 month tour to Afghanistan. Steven wanted badly to transition to the Special Forces, but decided to join the Colorado National Guard for the last three years. Steven loves providing support and protecting those that are not being treated humanely. He quickly gained respect as an officer in the prison because he treated the all the inmates with human decency regardless of their crimes. Steven always said the best part of his military deployments was helping the locals in small towns improve their lives whether it be working with the children, giving them money for infrastructure or saving them from extremists. As a police officer, even in the suburb of Littleton, Steven has seen a variety of heartbreaking scenarios and in each one he always led with a sense of compassion for the people involved. Steven has an amazing heart, a quirky sense of humor, he is known as the King of Memes, and is truly one of the most hardworking honest men to grace this world. 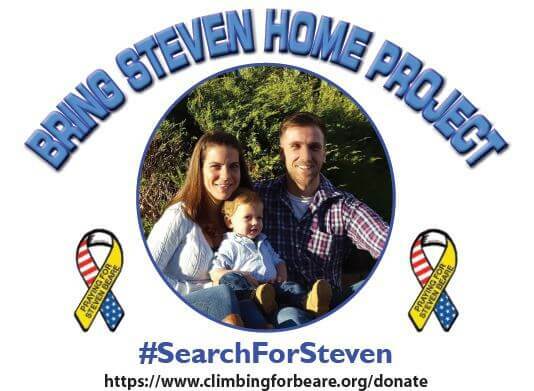 Steven loves helping people and now it is our turn to help him. Adults are $15 and Kids are $5 for dinner. You can purchase additional raffle tickets to win incredible prizes! 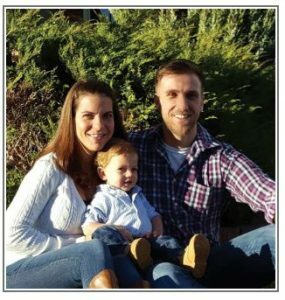 Please help bring this Littleton City Police Officer, Colorado National Guardsman, & Retired US Army Veteran home to his family.